The recent Syrian refugee crisis has affected innumerable countries. The impact of so many people fleeing a war-torn region has been the most strongly felt in the European Union, as hundreds of thousands of affected citizens have fled through multiple pathways in an effort to find asylum. 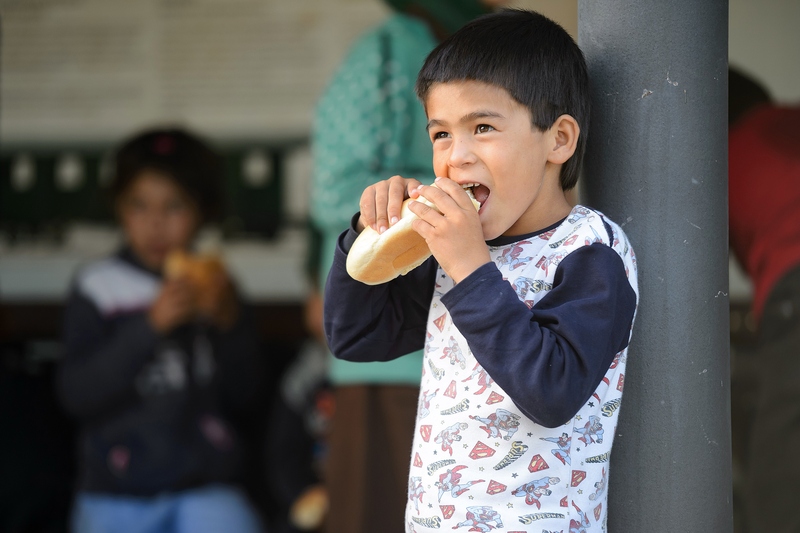 One of the biggest ways that the EU has been helping migrants, in addition to allowing for safe passage across countries, is a major donation being made to the World Food Program. The EU is giving upwards of $1 billion to that organization as well as the UN's refugee agency in an effort to help those in need as they seek asylum from Syria. So, what is the World Food Program? A United Nations affiliate, the World Food Program was established in 1961 in an effort to fight worldwide hunger. According to its website, the WFP works with the U.N.'s Rome offices and additional U.N. organizations (the Food and Agriculture Organization and the International Fund for Agricultural Development), as well as government and NGO partners. Over 75 countries each year have been touched by the WFP's reach, allowing for 80 million people to reap the benefits of the organization. The WFP adopted a formal mission statement in 1994, further reiterating their commitment to food aid to the most underserved communities. We are talking about millions of potential refugees trying to reach Europe, not thousands. It is likely that more refugees towards Europe will flow, not less. Especially since almost all of them feel invited to Europe. We must prepare a concrete plan, which must finally appear in place of the arguments and the chaos we have witnessed in the last weeks. This plan must be our common plan. Nobody will be outvoted. Though the move to spend substantial amounts on aide organizations like the WFP has been met with applause on the national stage following a major funding crisis, there are EU countries whose responses to housing immigrants has been relatively tepid in comparison. Slovakia, the Czech Republic, Hungary, and Romanian officials have recently expressed disapproval of the divvying up of refugees who've already made it to Italy and Greece in an effort to alleviate the burden on the two countries. Though German Chancellor Angela Merkel has advocated for a quota system based on country needs, the four aforementioned nations have all voted against such a stipulation to be implemented. Currently, over 4.5 million refugees have fled Syria following the nation's violent, ongoing conflict.